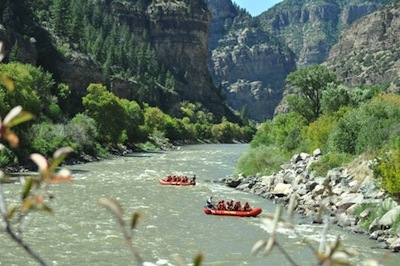 American Whitewater is working with the City of Glenwood Springs to secure water rights for river recreation on the Colorado River in Glenwood Canyon. These Recreational In-Channel Diversion rights (“RICD”), allowed by State Statute from April to September, will ensure flows that support rafting, kayaking, and paddle boarding are protected from future upstream diversions. American Whitewater intervened in a Water Court Case to support the City’s water rights application, after numerous front range water agencies opposed the filing for fear that the RICD would limit their ability to take more out of the Colorado River to use in Fort Collins, Denver, Aurora, and Colorado Springs. – How often do you paddle Glenwood Canyon in September? – Why do you choose the Colorado River in Glenwood Springs, rather than a different destination in September? – How many people do you paddle with? – Do you see other paddlers enjoying September flows too? – Do you plan to paddle the river in the future? Will you continue to paddle in September?